Jonathan "Loda" Berg is a Swedish professional Dota 2 player, known for his outstanding role as a carry. He started his career in 2006 playing the original Defense of the Ancients: All-Stars for professional gaming team, Meet Your Makers. He jumped from team to team whenever he did not place well in tournaments or lost sponsors. To date, Loda has been on 12 different teams; including Fnatic, Counter Logic Gaming, and Team Zenith. He wasn't truly recognized by the professional community until he was drafted to Swedish team, The Alliance in 2013, which won The International 3 the same year. On November 28, 2015, Loda was involved in a verbal dispute with esports journalist Richard Lewis at DreamHack Winter 2015, which later escalated into a physical confrontation backstage. 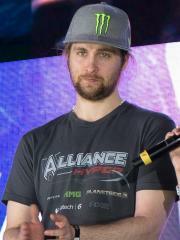 At present, Loda is ranked #104 in highest overall earnings, and #8 in highest earnings for players from Sweden. Out of the 97 tournaments awarding cash prizes that Loda had competed in, the largest amount was $287,438.00 from The International 2013 on August 11, 2013. He placed 1st, making up 41.05% of his total prize money won. Loda overtook the $100,000 milestone on August 11, 2013, winning $287,438.00 and placing 1st at The International 2013. Prize money from 36 tournaments got him to that point.